Bumblebee is out December 21. 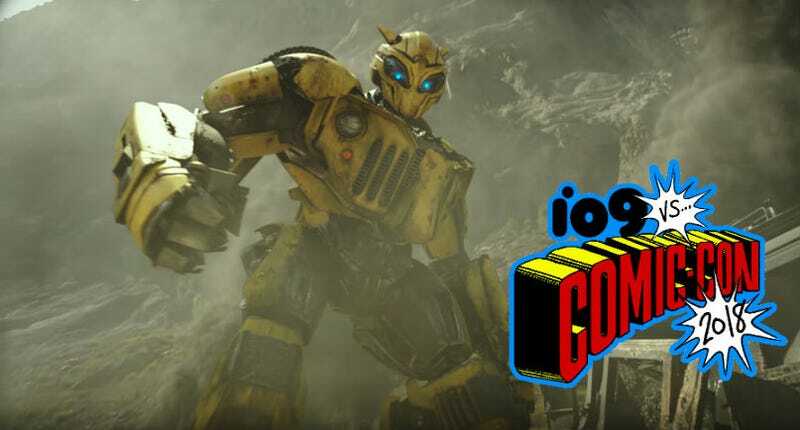 New footage from Bumblebee revealed at Comic-Con today showed us more about why the Transformer is on Earth, what he’s doing in the 1980s, who he’ll be fighting in his solo spin-off movie, and lots, lots more. Unfortunately, it appears the video is solely for Comic-Con attendee, but we can tell you everything we saw. Bumblebee is set about 20 years before any of the events of the Bay films. And while this one is almost wholly a solo movie about Bumblebee, Knight confirmed at the panel that we will travel to Cybertron in the movie and there will be plenty of nods and winks to franchise favorites throughout. One such example? The panel started with a live performance of “You’ve Got The Touch” by Stan Busch, an iconic song from the original 1986 Transformers: The Movie.